Oakland is joining 33 other cities nationwide in aiding Santa Clara County’s lawsuit against President Trump’s executive order that threatens sanctuary cities and counties with the loss of federal funding. The lawsuit filed on Feb. 3 seeks an injunction against the executive order. Oakland has long declared itself a sanctuary city and reaffirmed its status last December amid rhetoric posed by then president-elect Trump against immigrants and religious groups. Oakland City Attorney Barbara Parker announced the cities involvement in the lawsuit Thursday afternoon. The city joins Los Angeles, New Orleans, Chicago, and Salt Lake City, among the city’s filing amicus briefs with the court. “This Executive Order is just one example of the heartless, lawless and unconscionable policies of the new administration,” said Parker in a statement. 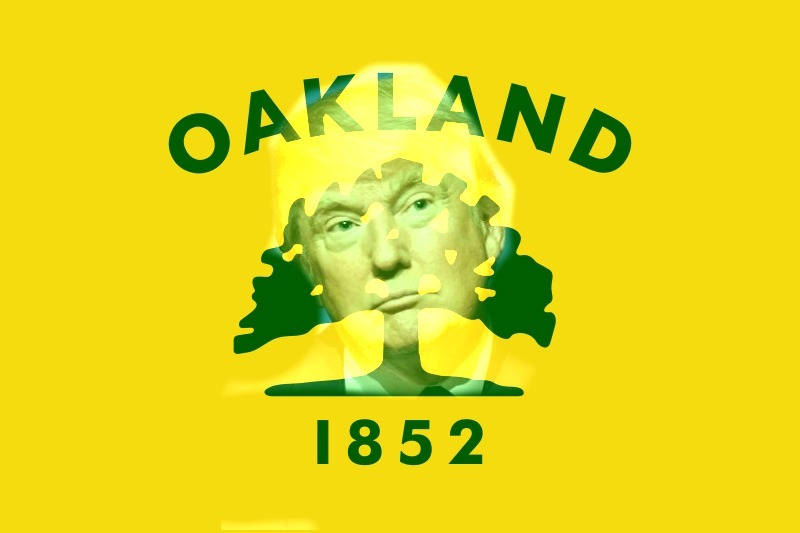 Oakland could be risking up to $130 million in federal funding with Trump’s executive order. This week, the city of Richmond in Contra Costa County filed its own lawsuit against the Trump administration over the sanctuary city order. Posted in Barbara Parker, executive order, federal funding, Oakland, Oakland city attorney, President Trump, sanctuary city, sanctuary county, Santa Clara County. Bookmark the permalink. It is always amusing to listen to windbag politicians, and such as for instance Barbara Parker, representing such entities as Oakland, San Francisco, and Alameda County government when they go into their staged and choreographed public temper tantrums in which they pretend they are wonderful humanitarians desiring justice, and even though in actuality they are nothing more than phonies, demagogues, charlatans, parasites, and blood sucking leeches that pretend to be human beings. And let's look at just a tiny bit of the history of Oakland city government over the last few decades. In the early 1990's we had the Great Oakland Hills Fire, and which was the largest and most destructive fire of its type in US history, a fire that was a monument to the incompetence of the extremely overpaid jokers in the OFD and the Berkeley Fire Dept. And Yusef Bey for a long time was grabbing teenage girls off the street and holding them for years as his slaves, and during that time Oakland and AC politicians pretended Bey was one of the very biggest and greatest of humanitarians. And we had the Ceeste Guap scandal, and in which the Oakland Police Dept was heavily involved, and related to that we also had the wife of a OPD officer who supposedly committed suicide, and altho being realistic she was almost certainly murdered so as to shut her up, and altho such jokers as Barbara Parker are willing to pretend that it was a suicide rather than a murder. And a few months ago Oakland also had thirty six people die in the Ghost Ship warehouse fire, and which was the most destructive fire in the US in the last few years. In regard to the extremely obvious, blatant, and flagrant health, safety, and fire code violations that Oakland's Fire Dept and Building Inspections Dept overlooked and refused to see, most likely under the table bribes were paid, and that is probably the reason thirty six people died. And the list of major criminal activities that SF's public officials have been co-conspirators in and/or covered up is even far longer. So let's have such Bay area demagogues and total jokers as Barbara Parker make some more suggestions as to how President Trump should conduct himself.